Nancy Grace Augusta Wake was born on August 30th, 1912 in Roseneath, Wellington, New Zealand. She was the youngest of six children in her family. Her family moved to North Sydney, Australia soon after her birth, but her father returned to New Zealand soon after that, leaving Nancy's mother to raise the six children. While in Sydney, Wake attended the North Sydney Household Arts School, but at the age of 16, Wake ran away from and went to work as a nurse. Using 200 she inherited from her aunt, Wake travelled to New York and then to London, where she trained herself to be a journalist. Wake moved to Paris where she worked as a European correspondent for Heart newspapers. She experienced and reported on the rise of Adolf Hitler and the Nazi party. In 1937, Wake met Henri Edmond Fiocca, whom she married in 1939. When Germany invaded France, Wake was living with her husband in Marseilles, and when France fell in 1940, Wake became a courier for the French Resistance and later joined the escape network of Captain Ian Garrow. Wake became so good at avoiding capture that the Gestapo referred to her as the White Mouse. The Resistance had to be careful when giving Wake missions because she was constantly in danger. The Gestapo had begun to tap her phone and intercept her male, and by 1943, Wake had become the Gestapo's most wanted person with a price of 5 million francs on her head. The escape network was betrayed by a spy in 1943 and Wake had to flee Marseille. Her husband remained behind and was captured, tortured, and executed. Wake was able to escape into Spain and return to Britain. Wake joined the Special Operations Executive in Britain and in 1944, she parachuted into the Auvergne, becominga liaison between London and a group of guerrilla fighters led by Henri Tardivat. She became instrumental in recruiting members to the guerrilla groups, and soon, Tardivat's army was 7,500 strong. Tardivat and Wake led missions throughout the war, taking on 22,000 soldiers with their 7,500. In the process, they caused 1,400 casualties while losing only 100 of their own men. After the war, Wake recieved the George Medal, the United States Medal of Freedom, the Medaille de la Resistance, and the Croix de Guerre. It wasn't until after the war that she learned about her husbands capture and death. She worked at the British Air Ministry for several years before moving back to Australia to run for the 1949 federal election. She lost and moved back to London and resumed work for the Air Ministry. In 1957, she resigned and married RAF officer John Forward and the two moved to Australia. In 1997, Forward died and in 2001, Wake moved back to London. She stayed at several hotels where, although she did pay for her stay, much of her living costs were absorbed by the hotel. Wake died on August 7, 2011 of a chest infection at the age of 98. 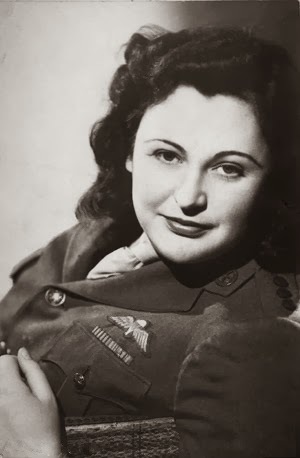 Nancy Wake is on our list because of her efforts in World War II and for making it to the top of the Gestapo's most wanted list.